A sketch I made in the first discussion, to explain the hierarchy of tasks that were needed to be accomplished, how each one affected the other and who in the team would be relied upon and when. The second step was working with each discipline in our team to develop a process of creating these new designs. 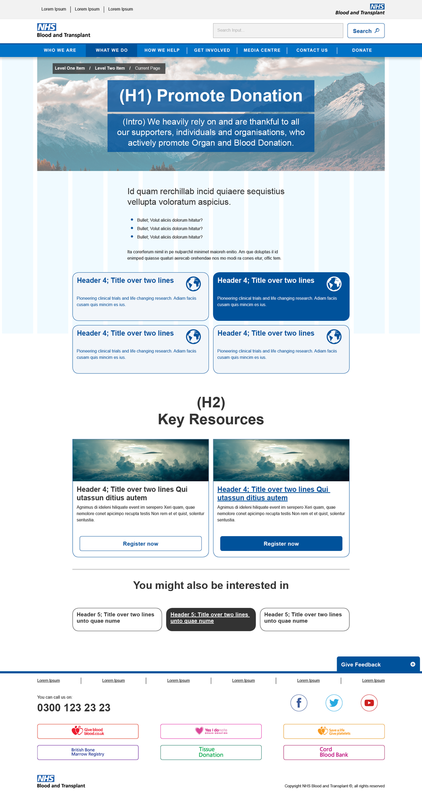 After a discussion about what each page would need to make a great user experience, I designed a set of templates giving examples of the types of components and content that would be used in each template. The page designs you see below are using some of the components from the library. As design is an iterative process many of the original templates changed over time as we discovered ways to improve. You will notice some of the pages have changed visually, but the purpose of what each page does has stayed the same. 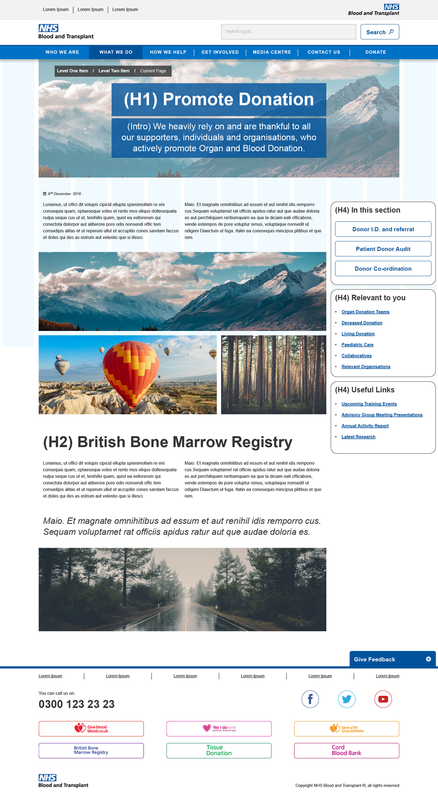 After the templates were made and the CMS system that would be putting content into it was created, we focussed our efforts on making the components.